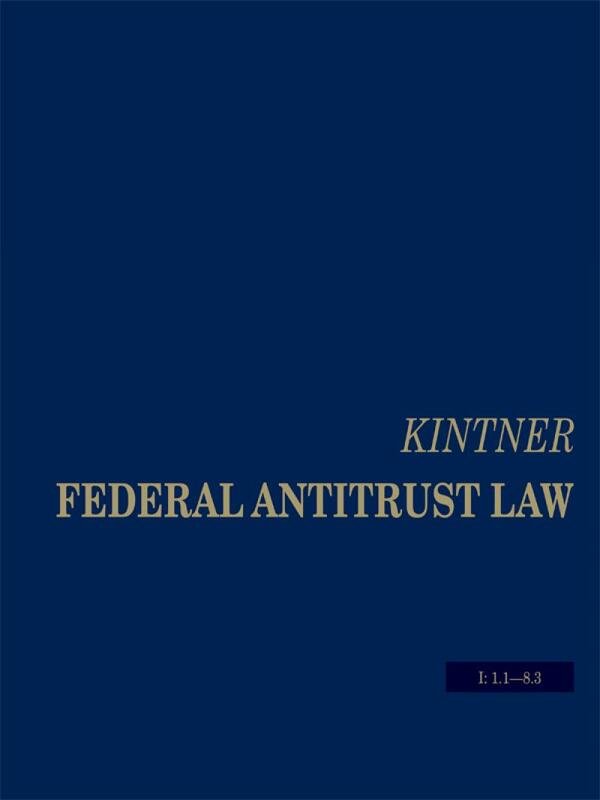 This master treatise provides a comprehensive analysis of the development and current status of antitrust law, as well as practical guidance for the application of that law. 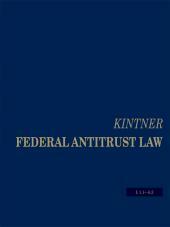 The brevity and generality of the language of relevant acts, combined with the ever-increasing volume of antitrust litigation and varying philosophies of enforcement and interpretation by courts and agencies, makes Federal Antitrust Law indispensable to corporate counsel, government attorneys, and private practitioners specializing in antitrust law. Three volumes focus exclusively on nearly 75 years of Federal Trade Commission work, a subject neglected in other antitrust works. 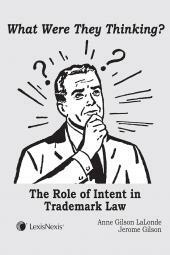 Includes thorough examinations of the FTC Act; FTC organization, enforcement and regulatory procedures; deceptive nondisclosure; price advertising and savings claims; business and employment opportunities; and credit and collection practices. 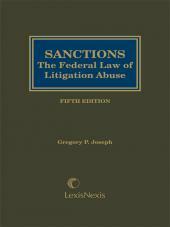 Textual discussion is extensively footnoted with references to all significant decisions of the FTC and federal courts; relevant sections of the United States Code; legislative materials; administrative rules; executive orders; rules of evidence and procedure; state statutes; and important treatises, publications and legal periodicals. Clear organization, extensive cross-references, individual volume and master indexes speed access to all applicable text discussion and citations.